Do you have a WordPress website? Do you want to find the best WordPress deals around? Greedeals.com is for you. You design or develop plug-ins and other products for WordPress websites? You want to strike some WordPress deals to gain visibility and boost revenue? Greedeals.com is for you. Greedeals works with the best publishers to construct WordPress deals that designers, developers, freelancers, and agencies lap up in their efforts to deliver the very best WordPress sites to their customers. 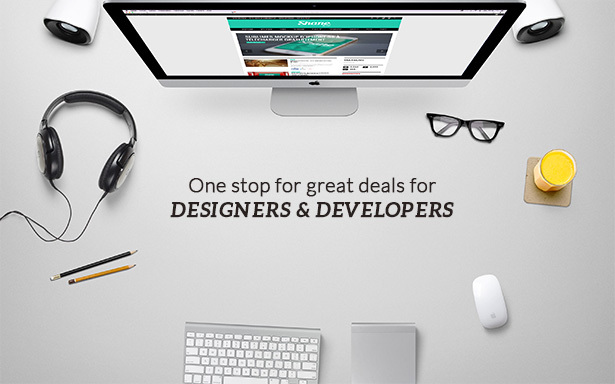 And Greedeals.com works with designers, developers, freelancers, and agencies to encourage publishers to deliver the plug-ins they need. For the most part, our WordPress deals come with a discount on the original price of anywhere from 50% up. And we offer them every day, so every day is when you need to check what’s available. But let us save you time and trouble: register, and we’ll put you on our mailing list. That way, you never miss a single offer. Nor is it confined to plug-ins. WordPress themes, installation services, icons, design services – in fact, WordPress deals are available from Greedeals.com on pretty well anything involved in setting up and maintaining a WordPress site. The only thing that stops us saying, “A picture is worth 1,000 words,” is that it must have been said a quintillion of times on the Web by now, and the search engines will, therefore, pick it out as plagiarism. But, there you are – we’ve said it anyway. Pictures are so valuable in boosting SEO. Infographics in particular – often, you need to get across a lot of information that, in text form, will amount to a lot of words. And one thing you can be certain about; a lot of words will lose a lot of visitors. Even if they stay, they may not understand what you’re telling them. They will if you use an infographic! And the best infographics contain icons. And more – the list goes on. Whatever category you want icons in, you’ll find them here. Business? Technological? Advertising? Human interaction? The number of icon categories is immense, and all of them are there on Greedeals.com. You own a website, but you’re not a designer. When your website goes online, you want it to look as though you are. Of course, you do. E-commerce customers can spot an amateur website through next door’s window. On the other hand, you don’t have a spare $1,000 to pay a professional web designer to do it for you. No problem. WordPress deals from Greedeals.com have themes that are easy to set up and will give you a website as good as anything on the Internet. And it doesn’t matter what business you’re in, because they have a range to suit everyone. It’s chicken and egg. Do people write WordPress plug-ins by the tens of thousands because WordPress is the most popular content management system (CMS) on the planet? Or is WordPress the most popular CMS on the planet because people write WordPress plug-ins by the tens of thousands? Who knows? Only one thing matters: there are probably more WordPress plug-ins than plug-ins for all other content management systems combined. So, you know you can find a plug-in to do the job you want it to do. That still leaves you needing two things. First, you need a plug-in that is well tested, works with your level of the WordPress site and does precisely what you want it to do. Not something close to what you want – precisely what you want. And the second thing you need is not to pay more than you have to. You need WordPress deals from Greedeals.com. What else does Greedeals.com have? Photo bundles. What do you want? Landscapes? Nightscapes? Seascapes? Textures? Nature? What would you say to a 99% discount on 12,500 stock photos, 2,900 vectors, and a whole bunch of textures, all with a commercial license? If your answer is anything other than, “Oh, yes, please,” we think you should stop reading and seek out a psychiatrist. How about being able to add a whole bunch of special effects to an existing photo? For example, turn a standard picture into a jigsaw puzzle? A jigsaw puzzle – and here’s the special attraction – with some of the pieces missing? Or redo the picture in cross stitch or as Lego bricks or pictured behind a steamed-up window? Can you see that adding extra impact? We certainly can. More than 100 templates with vector graphics you can edit to turn a page into a menu, a three-fold newsletter, a brochure. Yes, if you have the appropriate skills, you can do it yourself. But that takes time, and right now this package is available for $19. If that doesn’t have you clicking through to checkout, you’re not placing much value on your own time. Greedeals.com is about getting exactly what you want for the best possible price. We all want that. Don’t we? The business world is hard and competitive and becomes more so every day. And, if you’re a designer or developer with a theme, plug-in or another WordPress item you want to sell, contact us. It’s a partnership made in heaven. Give yourself the edge. The Greedeals.com edge.